For the month of February, America ReFramed curated a trio of documentaries on different aspects of the American Muslim experience. They follow American Muslims of various ethnic backgrounds from across the country as they wrestle with identity, claims to faith, and racial and religious profiling. Despite stark differences in how these characters see themselves and their place in American society, the films cover aspects of the American Muslim experience that are urgent and relevant across the spectrum. America ReFramed’s American Muslim-themed documentaries showcase the multifaceted challenges and frustrations that many American Muslims tackle on a day-to-day basis: such as constantly dealing with stereotypical images of Muslims in the media, systemic profiling by state and federal law enforcement, and challenging other Muslims on how Islam should be preached and taught. In American Arab (2013), Usama Alshaibi is both protagonist and filmmaker. He walks us through his experiences growing up between the United States and various countries in the Middle East (including Saudi Arabia and Iraq, where his father hails from), and finally settling back in the United States. He shares his own coming-of-age difficulties as an Arab-American in a post-9/11 world, as well as those of several other Arab-Americans. At the same time, there was a lot I couldn’t relate to in Alshaibi’s film, and that’s exactly the point. 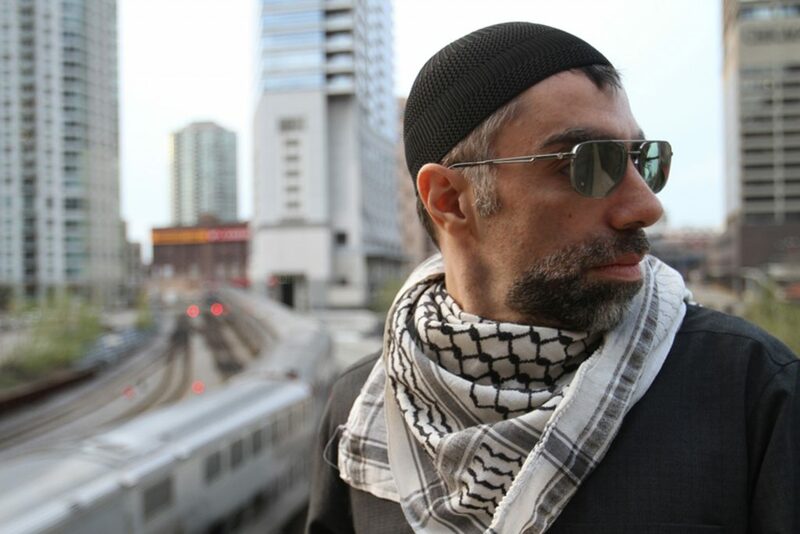 In a recent interview with Radio Islam, Alshaibi said each Arab-American experience is unique; there is no “one way” to be an Arab-American. The stories he explores through his work are proof of this. 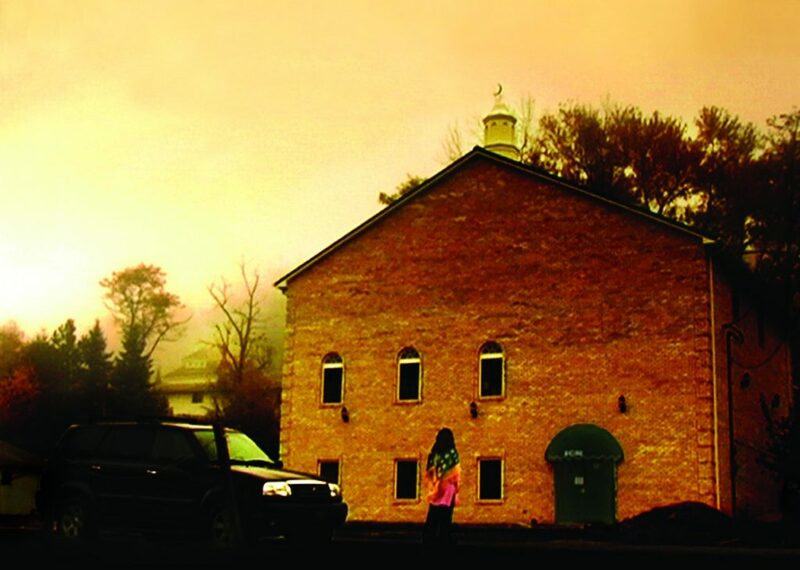 Brittany Huckabee’s film, The Mosque In Morgantown (2009), is a microcosmic look at the growing pains of a mosque in Morgantown, West Virginia. A small group of conservative men monopolize the leadership of the mosque, and feminist and activist Asra Nomani and others seek to make the mosque more accessible to women and families. They challenge the leadership by taking a critical look at the way faith is preached and taught there. 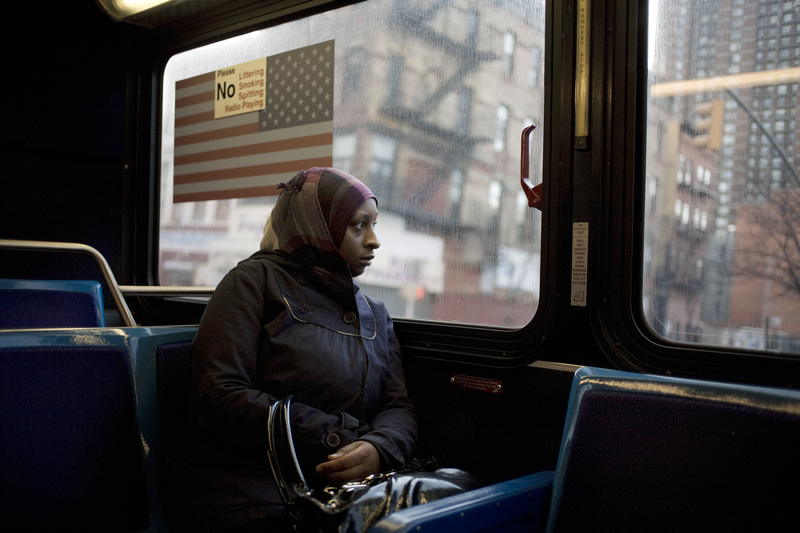 Since this documentary was filmed, from 2003 to 2005, Nomani has increasingly alienated herself from other American Muslim activists — from her statements supporting the surveillance of American Muslim communities and her defense of some of the Islamophobic rhetoric in this presidential election. That aside, her fight to make mosques more inclusive of women, to foster an environment that espouses gender equality, and offer a space open to differing theological interpretations and schools of thought, is something recurring in many ways in mosques, Muslim student groups and Muslim grassroots organizations throughout the country. We see this in the Side Entrance blog on Tumblr, in which Muslim women document the accessibility of mosques to women worldwide. Initiatives such as the Women’s Mosque of America, which began a little over a year ago, is the first gathering space in the United States exclusively for women, has women preachers, and accommodates Muslim women of all sects and schools of thought. This desire to claim one’s own narrative of Islam and way of practicing it is reflected in The Mosque In Morgantown; it highlights one aspect of the gender struggle in Muslim communities throughout the country. Third is Adama (2011), a very different film from the previous two. David Felix Sutcliffe’s work covers arguably what is the most pressing contemporary issue among American Muslims, Arabs, Sikhs, South Asians, or any other group perceived to be “Muslim-looking.” We follow Adama Bah, a 16-year-old girl who came from Guinea, West Africa, when she was 2. Adama is the youngest known American Muslim detained in a domestic terrorism investigation. In 2005, Adama, living with her family in East Harlem, was arrested by the FBI and accused of being a “potential” suicide bomber. She was held without evidence for nearly two months in a maximum-security detention center before public pressure prompted the government to release her. No terrorist charges were ever filed. For the next three years, Adama was ordered to wear an ankle bracelet and live under partial house arrest as she underwent an excruciating immigration battle to remain in the country. Shortly after her release, her father was deported to Guinea because of his undocumented status. As the eldest child, she dropped out of high school to support her four younger siblings. Surveillance by law enforcement in Muslim communities across the country remains one of the most significant issues facing American Muslims today. In 2011, the Associated Press broke the story that the New York Police Department planted informants in mosques, Muslim campus groups and Muslim-owned businesses throughout New York City. While the unit responsible for surveillance has since been disbanded, there are repeated claims that the monitoring continues, especially after two women from Queens were arrested last spring on similar charges to Adama. The charges were based on information conveyed by an FBI informant who previously frequented the Muslim Student Association of Brooklyn College. The film exposes how essential it is that we see what life is like for those trapped under unfounded terrorist accusations. There are many like Adama who have endured similar charges, or experienced profiling because of their Islamic faith or Muslim appearance. Together, these three films show not only the diversity of the American Muslim community, but also its issues. The films make us reconsider terms like “American Muslim community” or “American Islam,” which should perhaps be thought of in the plural sense. There are many different Muslim communities with their own set of concerns, ways of asserting their belonging, “Americanness” and humanity. The American Muslim community is as diverse as the global Muslim population, and these stories bring this important fact to light. 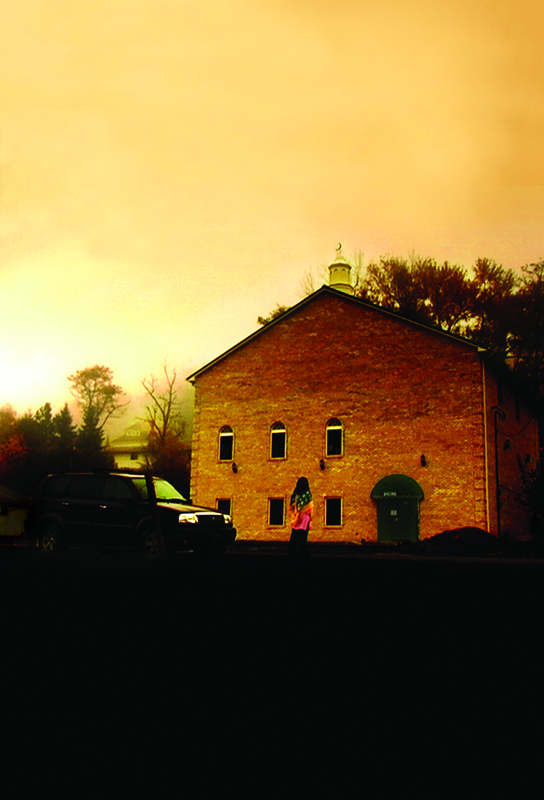 You can watch American Arab, The Mosque In Morgantown and Adama online at www.americareframed.com. 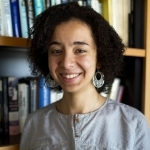 Mariam Elba is a native New Yorker with roots in Egypt.